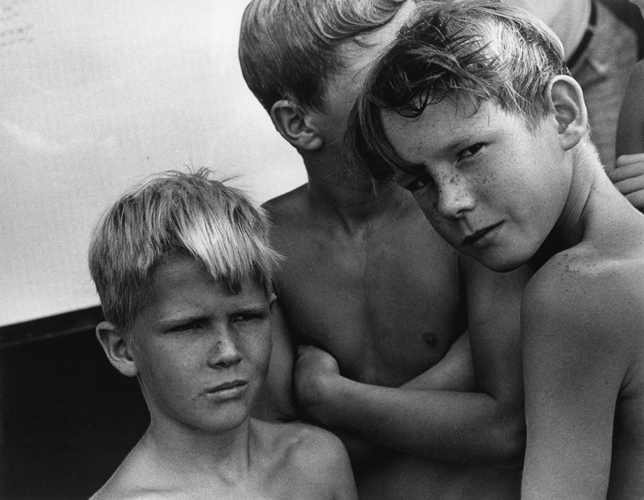 A Maine resident and lifelong political activist, Olive Pierce's photographs reveal the spirit of community. 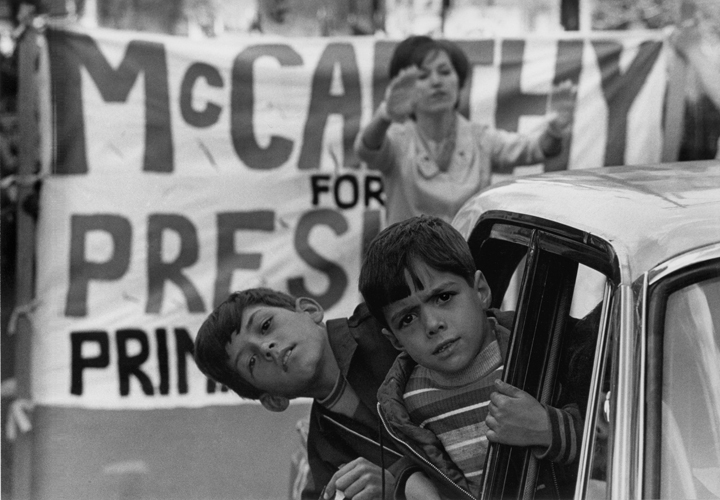 This retrospective, of black and white gelatin silver prints from 1964 – 1999, includes images that document the lives of children in Cambridge, Massachusetts, Maine fishing communities, and Iraq under U.S. economic sanctions in 1999. Pierce graduated from Vassar College in an accelerated wartime program in 1945. In 1948 she went to Poland on a post-World War II medical mission. She returned with snapshots of Auschwitz and Warsaw in ruins, and with a deep desire to become a photographer. 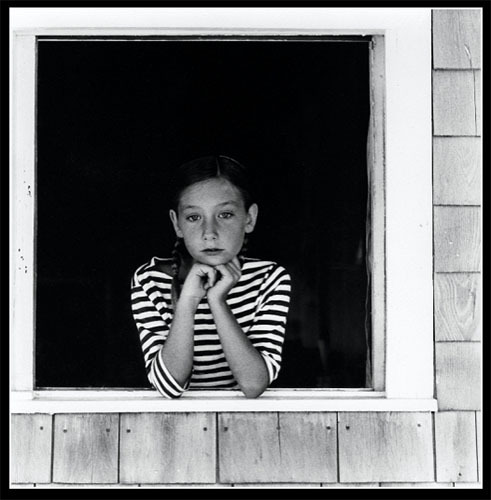 Her early teachers were Bernice Abbott and Paul Caponigro. In 1976 she received a fellowship front he Radcliffe Institute that led her to documentary work. 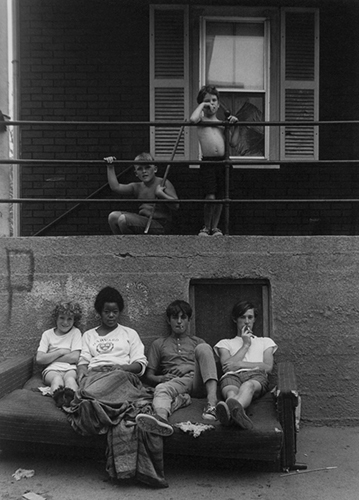 In 1986 she published o Easy Roses: A Look at the Lives of City Teenagers, based on her experience as a teacher at the Cambridge Rindge & Latin School. Ten years later, p River: The Story of a Maine Fishing Commuity was published with co-author Carolyn Chute. The 1990 Gulf War focused Pierce on American foreign policy in the Middle East. 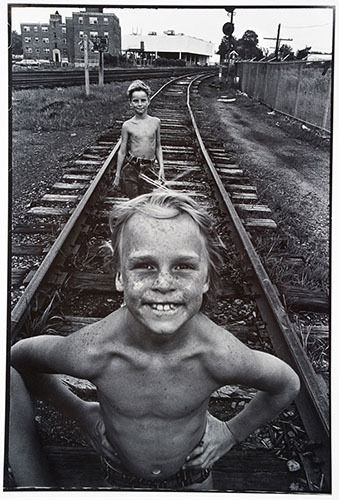 To oppose the economic sanctions on Iraq, she went illegally to Baghdad and Basrah in 1999 under the auspices of Voices in Wilderness to photograph children. Her work preserved the Archive of Documentary Arts in the Rare Book, Manuscript, and Special Collections Library at Duke University and in the permanent collections of the Boston Museum of Fine Art, the Addison Gallery of American Art, the Portland Museum of Art, and the Farnsworth Art Museum in Rockland, ME.